As of late I have been interested into learning more about skincare and using products that are natural based, but equally effective as my usual go-to-products. 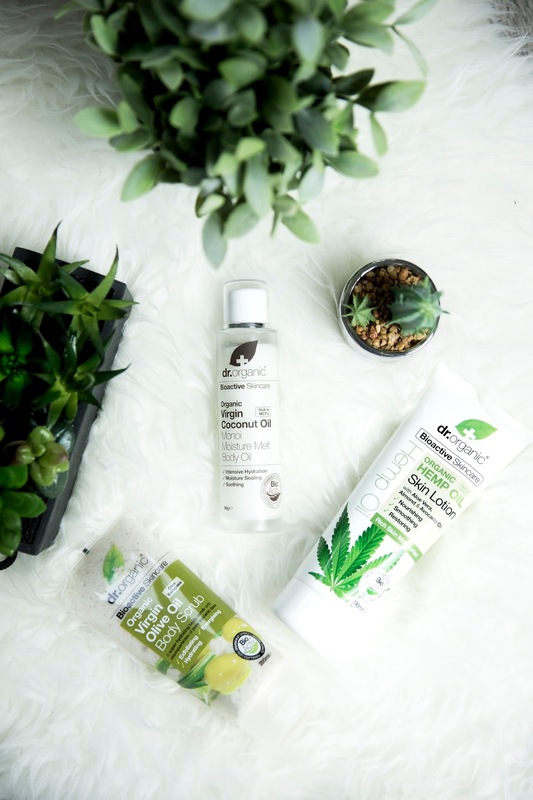 With that being said I was intrigued to try out these range of products by Dr. Organic, a brand that I have enjoyed using in the past. 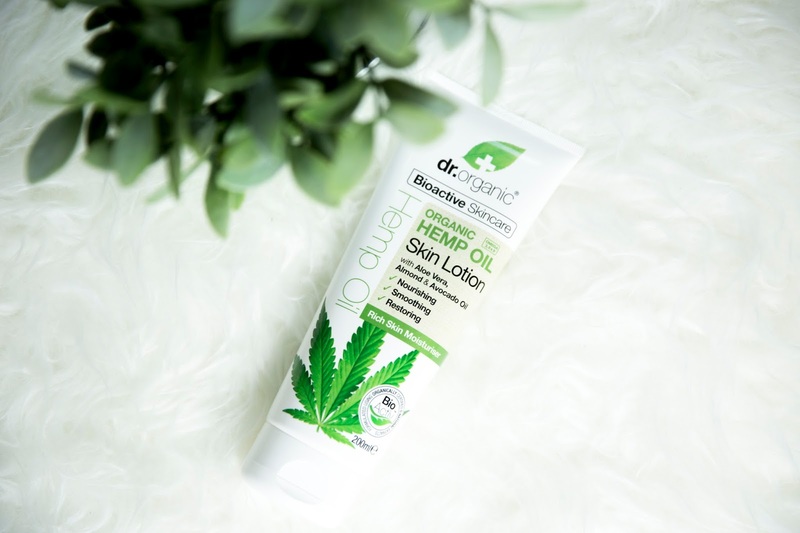 First up is their "Organic Hemp Oil Skin Lotion", which is a perfect everyday body lotion that can be used when your straight out of the shower or whenever you feel your body needs it. I particularly like how this lotion is fast-absorbing leaving a non-greasy 'moisturised' feeling, making it perfect for being applied just before you get dressed. With it's main ingredient of Organic Hemp Oil being noted as "natures most balanced oil"combined with Aloe Vera, Almond, Avocado Oil as well as Horsetail, Hops and Hibiscus. This combination really makes your skin feel nourished and protected. Definitely a new firm favourite of mine. 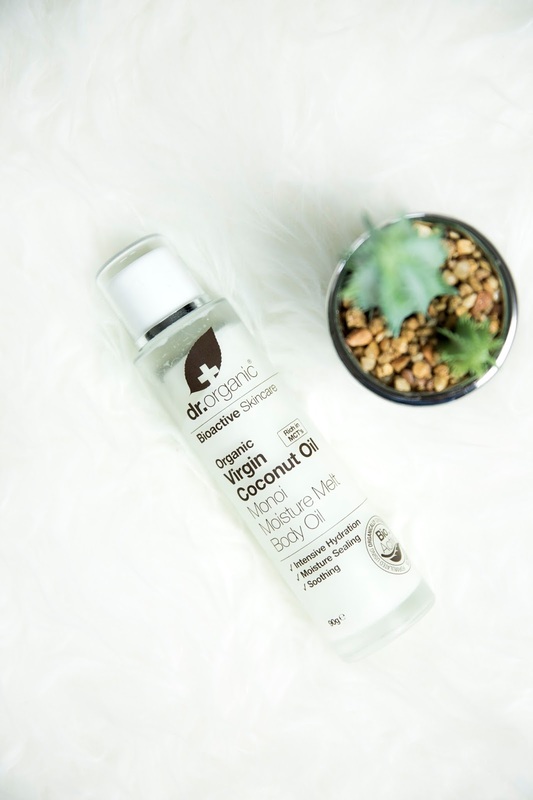 Next up is a product that I was intrigued to try which is the "Organic Virgin Coconut Oil Moisture Melt Body Oil". Now the reason why I was so intrigued to try this was because this product (cold/at room temperature) is solid, but once you pop it in some hot water for a couple of minutes it turns into fine liquid oil. Another great thing about this product is that you can use it on your body, hair and nails. In addition to the main ingredient being Coconut Oil it also contains tropical extracts such as gardenia flowers, papaya seed oil, mango butter, cocoa butter, orange fruit extract, bergamot fruit oil, lemon peel oil. Meaning that your skin can be treated to deep nourishing pamper leaving it feeling hydrated and moisturised. 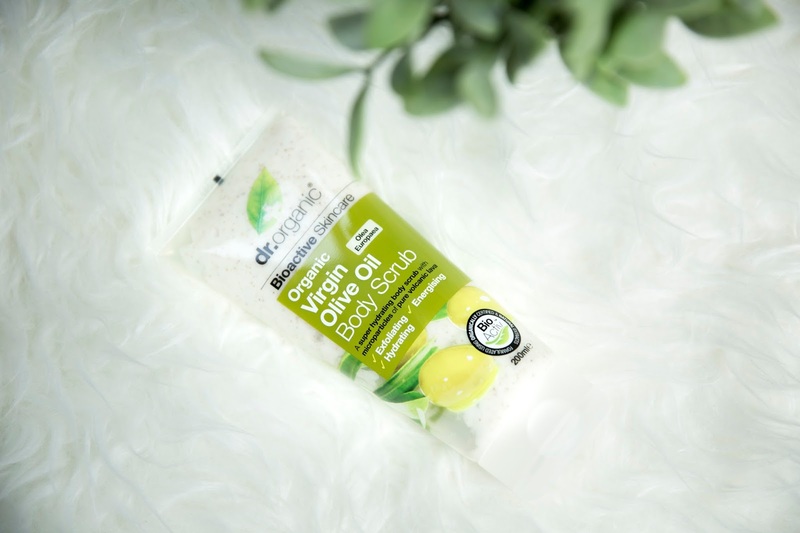 The final product is a "Organic Virgin Olive Oil Body Scrub", now a lot of us are aware of the benefits that olive oil can have on both the body and hair. As it can help your skin tissue from free radical damage and fight against the aging process. Most body scrubs I have used in the past have left my skin feeling dry and dehydrated, but this product is different. This hydrated body scrub uses microparticles of pure volcanic lava, effectively removing dead skin cells, but leaving your skin feeling smooth and hydrated. Also all products featured are Cruelty Free and suitable for Vegetarians.